This year CAM Construction continues it award winning legacy by capturing three ABC Awards of Excellence. The award winning projects are listed below. An electrical fire virtually devastated the social hall/kitchen/restrooms and storage areas on the lower level of this church, smoke from the fire permeated the entire building making it difficult to worship or work. 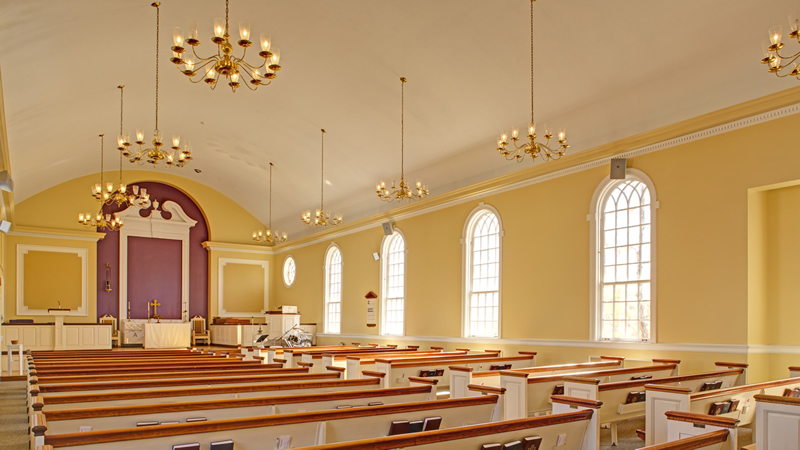 The newly renovated Church is now “better than ever before” fulfilling the dream of their former Pastor, Churchill Wortherly ,who had once been the head of purchasing for Morgan State University and sadly passed away before the project was completed. 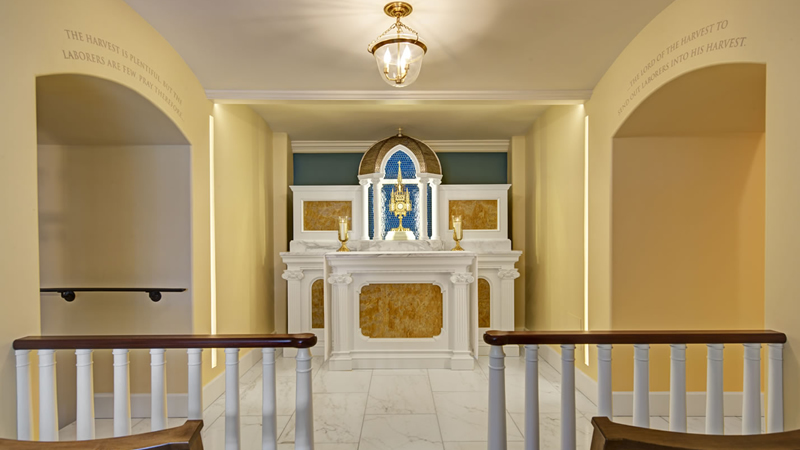 This small chapel dedicated to people considering religious life is highlighted by an antique monstrance which was literally fished from Loch Raven reservoir and gifted to the Archdiocese of Baltimore. All work was completed without a single interruption to the ongoing masses and activities of our nation’s historic first Roman Catholic Cathedral. This operational home for Baltimore’s elderly poor is run by the Little Sisters of the Poor Baltimore. The chapel is used multiple times per week by residents, the Sisters themselves and families of residents who celebrate birthdays, anniversaries or the life of their loved ones who reside at St. Martin’s. Great care and sensitivity was required not to disrupt the lives of the residents or their on-site religious caregivers. 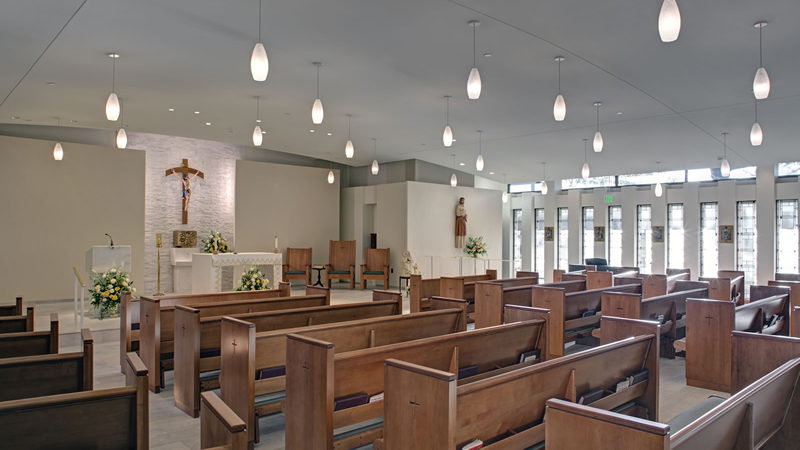 The finished chapel renovation transforms the worship space originally constructed in 1966.